There is a peculiar phenomenon that happens in Japan when cute and ugly mix together. 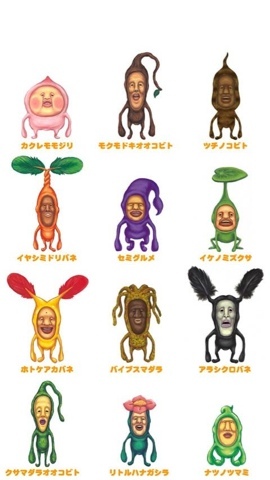 This kimokawa (words for grotesque and cute put together) phenomenon is sublimely personified by the kobito zukan, literally meaning dwarf encyclopedia. This creation is both hilarious and astoundingly creative. Each page detailed about the behaviors, habits, and ways to capture these dwarfs as well as ways to care for them. The dwarfs themselves are grossly depicted but are tiny and small and have a cuteness to them. 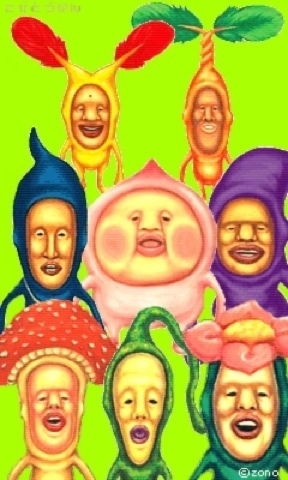 The popularity of the Kobito series has rivaled Pokemon as a regular topic of discussion for Japanese grade school children. I will let the short video in English subtitles tell the story. Each dwarf is well thought out and has some ridiculous ability like flying, turning milk into soy milk, growing mushrooms on its head, or pooping gold out of its head. There isn't much to say but laugh while you discover the world of these silly dwarfs that the creator often connects to Japanese culture, history, or humor. This a clip from the DVD series that tells you how to capture them. No subtitles but still silly.